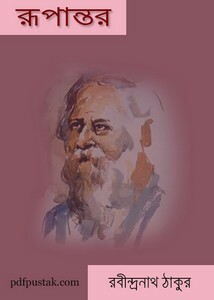 Rupantar by Rabindranath Tagore Bangla Poetry Book pdf. Tagore, Rabindranath (1861-1941) was a rhymer, composer, writer, playwright, painter, essayist, philosopher, educationist and social reformer. Basically the world recognized his talent as a poet. He was awarded the Nobel Prize in literature for his poem book' Gitanjali' in 1913. He was the first person who was awarded the honor of the winning among all Asian writer and eminent persons. Readers can collect his poetry book Rupantar as pdf file from this post.